How do you guys feels about at home face peels? 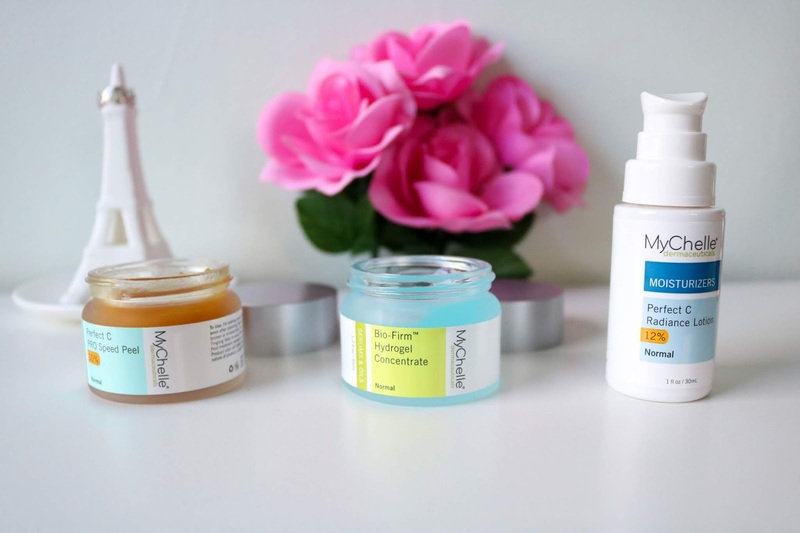 I was super thrilled to receive the latest skin care products from MyChelle to test out this fall! 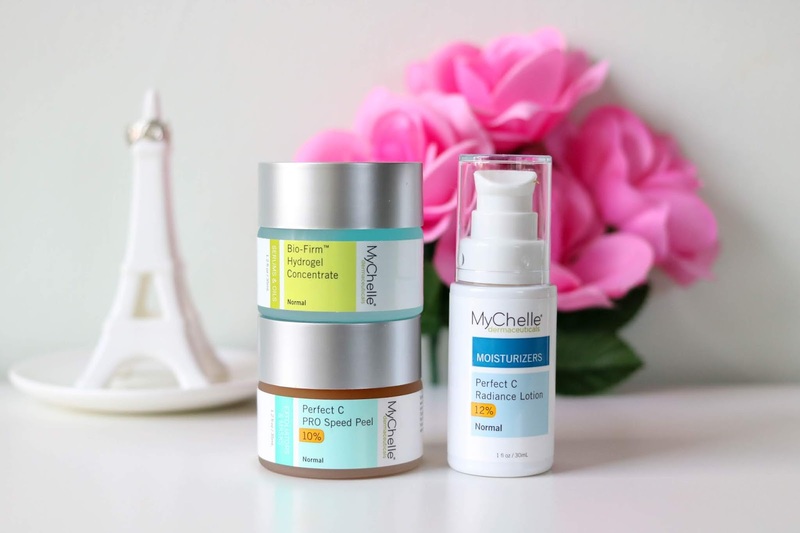 Among them being the Perfect C PRO Face Peel, Perfect C Radiance Lotion and the Bio-Firm Hydrogel Concentrate. I've always been iffy about testing out face peels, even spa peels done by professionals. It's the word "peel" that always freaked me out! What exactly are they? How long does it last? Does it hurt? Will it give me an allergic reaction? I'm sure we've all heard those horrific face peel stories, and of course (though testing products is part of my job) I was skeptical about this "1 minute" face peel. In short, I was pleasantly surprised when I tried it out myself. The Perfect C Pro Face Peel, is exactly that perfect. I applied it with a brush in an even layer all over my face, avoiding my eye area. I made sure to set a 1 minute timer and then I gently rinsed it off with warm water. At first, my skin felt tight and it was red. I was worried I was reacting badly to the peel but after a million google searches I found out the a little redness after a peel was quite normal. I went to bed a little worried though, but when I woke up my skin felt amazing! It was soft, not at all oily (like it usually is in the morning) and I could swear I had a glow -- like it was brand new skin! The Perfect C Radiance Lotion was applied right after the face peel, and it definitely took that tightness feeling away. This product is packed with L-Ascorbic Acid combined with Plant C-Stem and licorice extract to help brighten, protect and repair the damage caused by UV exposure. Lastly, I applied a dab of the Bio-Firm Hydrogel Concentrate. This hydrogel was made to improve skin firmness and elasticity and it felt amazing! I use this system, ever other week to make sure my skin gets a nice fresh start and my makeup looks extra fleeky the next day! I have really enjoyed trying out this companies goodies, and the very best part is the they use skin friendly ingredients. The products are certified gluten free, no GMO's, vegan and they are cruelty free. You can get these goodies at select Ulta Stores, Whole Foods Market, Ulta.com and of course MyChelle.com and the best part ... they are super affordable!